Jared Polin, aka the Fro, brings us yet another real-world review, where he looks in-depth into the latest and greatest cameras on the market. This time it's Sony’s latest offering in the a7 III and I’ve been looking forward to this review since the announcement. As usual, Sony is known for bringing in the biggest names in the photography space to events for them to get their hands on the products and release reviews to the public. At this particular event, they hired actors and performers and set them up in different environment to showcase the new technology that the a7 III has to offer. Along with that they had a dune buggy shoot in sand dunes to showcase how the camera would handle fast paced action. During this event Polin put the camera’s new features to the test in all the given scenarios and talked to us throughout. This review is a must for anyone who may be considering the upgrade to the a7 III or even to those in limbo on if they should switch to Sony’s ecosystem. This video really puts into perspective that this camera is a game changer to the digital imaging market and that it’s quite possibly the best camera in the Sony lineup in terms of price to performance ratio. 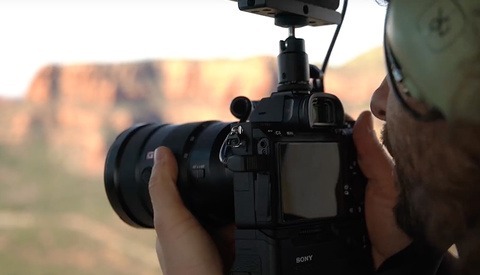 The real question is how Canon and Nikon are going to compete with this new full frame and how many are going to switch ecosystems with this new powerhouse from Sony? I for one am in the process of selling my a7R II to finance this new full frame for my wedding and commercial work. For me, the eye-auto focus is a game changer. If Nikon can't come up with something similar I'm switching. I personally love the Eye-AF feature, It's absolutely changed the way my portrait shoots go. I think the rumored predictions are accurate that Nikon and Canon will be announcing their full-frame mirrorless systems by year's end; Sony is too much of a threat for them to ignore, and the a7 III is the perfect example. I'm sure Canikon will catch up swiftly once they make the change. 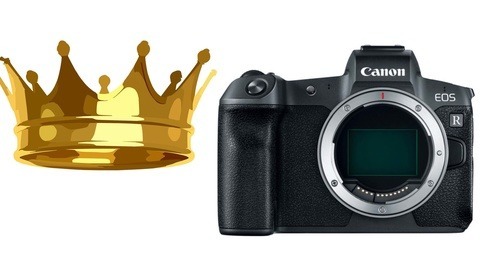 Canon already demonstrated Eye AF with the M50 (albeit somewhat lackluster compared to Sony's), and Nikon are sitting on plenty of mirrorless tech of their own with the 1-series. The question that still lingers in my mind is - what are Canon and Nikon going to do with their mounts? All new mirrorless mounts that capitalize on the size advantage but leave the DSLR lens owners out to dry? Or existing mounts and leave the new mirrorless bodies oversized to compensate for the flange distance requirement? I don't envy Canikon's decision. Sony has played their hand quite well by getting an early start on mirrorless. why are you sure canikon will catch up swiftly? I hope they do, we need competition to have better tech and prices.. I think they both create new mount and new lens ecosystem. And they will provide adapters as well.. It'll be a new start for them, what should they carry the burden of the past, especially when they can benefit more selling new lenses? I certainly think Canon could catch up quickly because they already have a full production system in place for mirrorless manufacture with the EOS M line. All they have to do is incorporate the full-frame models, so I don't think there'll be any issues with supply and demand on their part. From a technical point, Canon's DPAF is really incredible, and I think it signifcantly outperforms Sony's DPAF system. If they can catch up to Sony's Eye AF performance, then they should be on good footing within a year or two of entering the mirrorless market. I'm not sure what Nikon has in store, but I wouldn't underestimate their capability to deliver a competitive product quickly. I really, really hope one of their first models is a mirrorless Df II - that would be a great way to kick things off. I agree with you in that I think Canon and Nikon will follow Sony's lead in creating all new mounts. That will almost certainly result in them offering a very sophisticated (i.e. expensive) smart adapter for the EF and FX glass while they can slowly start rolling out native mirrorless lenses. Adapters aren't an ideal solution though. Even if they're fast and accurate, they still make the lenses larger than they need to be and can slightly affect camera balance. Target audiences are different. Canon is amateur photography oriented, Sony is more on the video end, which is why they put S-Log in almost every model they have. Only when Sigma gets the Art series for Sony , you can expect some type of answer from canon , like a mirorless FF , but it too will be crippled , because they have a cinema lineup starting from C100mk2 price point. 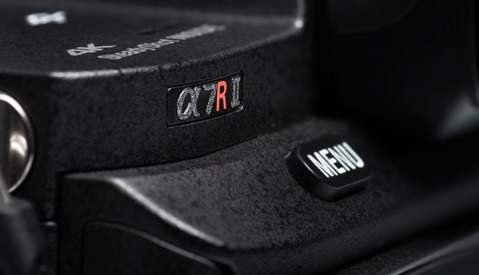 For the exact same reason , Sony is still using old sensors from 2012 in FS5 and FS7 cameras. Canon is amateur photography oriented...? Are you high? Canon is pretty much the go-to platform for videographers shooting with DSLRs, it's a huge proportion. And Im not talking about some kid making movies in his basement, I mean pros. Current lineup: SL2 , T5i , T6i , T7i, T6s , 77D , 80D , 6D, 7DII , 6DII , 5DIII , 5DIV, 5DS 5DR, 1DXII. 15 models. 12 models are unusable for profesional video purposes. IPB codec, aliasing and moire, low dynamic range. Only ONE has LOG support. Two of them 4K. MJPEG codec. CFAST. Heavy for all day use. So yes , they clearly orient more on cheap amateur models. For pros , they have C100/c200/c300 series. Sony lineup: a6000, a6300, a6500 , a7 , a72 , a73 , a7s2 , a7r2 , a7r3 , a9. 10 models. The cheapest and oldest one from 2014 has almost same video capabilities as 90% of 2017 canon lineup. A73 destroys even the 1DXII as far as video goes. Almost every model has s-log support, 4k , 120fps 1080p, some have IBIS, all have better lowlight capabilities than any canon. So yes , Sony is clearly pro-videographer oriented. Also for pros they have FS5/FS7 systems. Pros shoot with Sony , at least the ones i know. The legend of canon color science lasts only until you buy a color checker , or move more than two sliders in Resolve. So you first tell us that canon is towards amature photographers then say there for amature videowork, and proceed show us all the amature cameras, by canon. At this point you say Sony is A series is for pro work, “Sony is clearly pro-videographer oriented” yet non of the A series camera are pro video cameras there CAMERAS that can do video just like canon. as you said your self once again it ur self “also for pros they have FS5/FS7” . Let’s be realistic here. “Pro’s use dedicated video cameras from yes Sony and yes canon, Yes Sony has features that are geared to video work “weddings, YouTube’s,b roll,and maybe even some cheap budget documentary. In the A line up BUT there are not pro video cameras. So let’s just stop talking about pro this and pro that. Keep to use what works for you. depends what you define as "pro" features on a mirorless or dlsr. For some people that is compatibility with their video cameras , like S-log, for some that is focus peaking , for some that is having 4K or more that 60fps in 1080p. I honestly can't imagine using 80D as a B cam for c200 , good luck matching those 2 in serious workflow. a6300 on the other hand, can match with FS7 easy. This has got to be the dumbest thing I heard in a long time. Tell this to all the pro sport shooters out there at major sporting events. Where do people come up with these kinds of ridiculous statements is beyond me. Your statement is on the level of "Tesla is not a car manufacturer because it's not making milions of cars per year"
They still sell way more Priuses. Same with Canon. Yes, in sport events you will see Canons and Nikons with huge telezoom lenses, they have been there for years , people have bought lenses.. But outside the stadium , soccer moms and young aspiring photographers like you will be using 1200D or 80D, maybe a 5Dmk3. I would bet canon sells more 80Ds in a week than 1DXs in a year. And the money is in that market. cheap to make, price is good , profit is high. Which is why you get a new rebel crop camera almost every year, compared to 1DX series that have almost a 4 year cycle. I guess you are not a sport shooter, so you don't know how things work. Creating a line of new mirrorless lenses will be very costly for Canikon. Sony has created a decent lens line-up by now. Besides, tooling up for an enitrely new line of mirrorless (full-frame) cameras that cater up to the needs of the pros will be very costly. I doubt that they will catch up in a short time. It will probably take them at least 3 years to be able to compete. Unless, they will introduce a big enough line up of lenses at the start. I think that canon comes with an 5dmkiv lookalike, mirrorless, 70MP. And i think the old lenses will just fit on it. Will tear sony down with their much to expensive lenses. Based on which assumption? Wishful thinking? So far, Canon seem to be sleeping. My own thoughts... all the sony fanboys think theyre crazy at nikon and canon. Dont forget canon has allready a 50mp camera..... for years. So far, Sony has some excellent ff mirrorless cameras and Canon don't. I bet you if it appears, that it will also be handicapped because that is the Canon way. Sony have a 200-400 f/4, 400 f/2.8, or 600 f/4 yet? What do you care? It doesn't look like you regularly use them for you own work, if at all. Also, how much of all photography do you think really uses those lenses? Adapt. The current cameras are more than up for it. I have the Eye AF on my a99ii and I love it as well. I'm holding for a little bit. My choice is either the A7 III or what Nikon is coming out with. My decision will be after the 23rd when Nikon stops teasing and we see the release. I have a lot of Nikon glass, a Nikon D7500, if Nikon comes with a competitive product opposed to Sony, I'll get it. Otherwise, A7 III here I come.